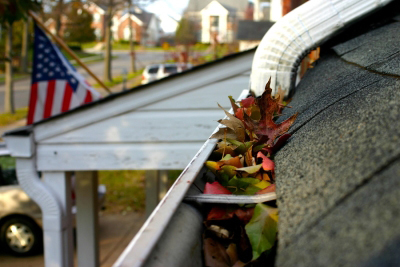 Gutters can clog for many reasons, from animal nests to a buildup of leaves and twigs. These buildups are obstructions that act like a dam in the gutter system, causing the flow of water to back up. Gutter guards in Houston, TX keep the path clear, so rainwater can flow all the way to safety, where it won’t be a threat to your roof or siding. THE RHINO® is the gutter guard system you need. Find a local gutter guard company, maintain the installation, and know your warranty beforehand. Keep reading for the answers to some questions about THE RHINO®. Who should it install it? When it comes to something as important as your home rain gutters, the specialists have a lot to offer in terms of installation and maintenance. You can’t expect your gutters or their guards to function properly if they weren’t installed the right way. THE RHINO® works best when it’s installed by a professional gutter guard company. Gutter guard installation can be an intricate process and there are a lot of factors to take into consideration regarding the layout of your home, the slope of your land, and the wildlife in your area. Do I need to maintain mine? There are few things you’ll never have to maintain as a homeowner or someone who owns commercial property. Maintain THE RHINO® to the best of your ability to keep it functioning at full capacity, and if you can’t, then set up a maintenance plan with the experts. Gutter guards like THE RHINO® need to be maintained just like any other appliance or fixture. Check on and clean out your gutters to get rid of any debris that managed to sneak in, and don’t be afraid to talk to your expert if you’re not comfortable on the roof. THE RHINO® gutter guard system comes with a five-year warranty. If your system breaks, fails, malfunctions, or lets you down in any significant way, then you can get your money back for your purchase.